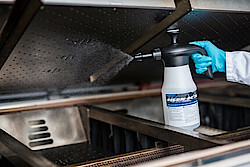 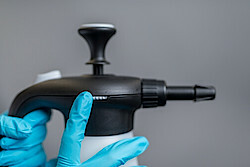 Especially developed for spraying large surfaces within seconds, the handy pressure sprayer is the ideal solution for cleaning reflow ovens, wave solder systems as well as for the manual cleaning of oven parts, such as condensations traps or solder frames. 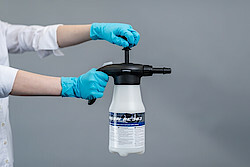 The adjustable spray nozzle allows different spray patterns from a conical pattern to a straight jet. With the help of the safety valve, the pressure is automatically depressurized at 3 bar. 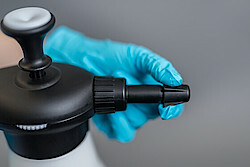 In addition, the pressure can be easily released by rotating the safety valve after each application.